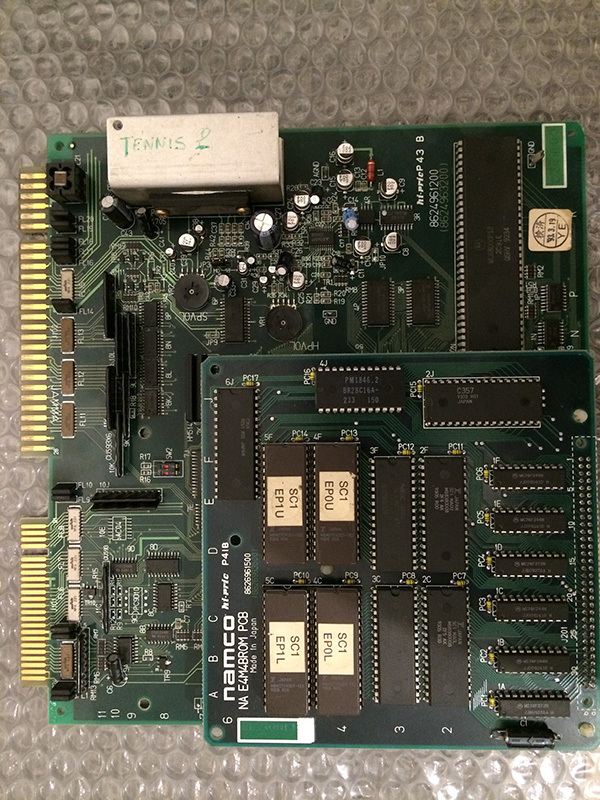 Another pcb which was part of the cheap deal. He told me he once repaired one with a capacitor connected to the reset circuit of the 68000 which faulty and didn’t produce the reset signal. I tested mine and to my surprise the reset was stuck low. I changed the capacitor smd 22uF @C5 with one 1uF which I had available and the game booted. Unfortunately the sound was completely missing, so I probed with my portable amplifier some smd capacitors which are know to be leaking very easily and I found one which interrupted the sound to the main ampli. After changing it, the sound was very low with lot of background noise. To end a long story short, I recapped many small smd caps with new ones and restored full volume.